As a local I would like to share my opinion regarding Measure C, which was the subject of the article. My opinion begins by asking a simple question: What do you want the Napa Valley to be 100 or more years from now? Typically our planning horizons are far too short to be meaningful. I am not an environmentalist in the current sense of that word. I am a conservationist. As such I recognize that once the natural environment is gone, it is gone—if not forever (since we won’t be here forever) it will be gone for many generations to come. The problem is one of attrition. As nature is scraped away bit by bit, it is replaced by man-made uses which have a capital life and therefore will be around for decades. Thus far the Napa Valley has accomplished many positive things, thanks to courageous local initiatives of the past, such as the Agricultural Preserve. At the time the preservation act was proposed, it was bitterly opposed by property owners who believed residential development was the highest and best use of their land. Yet, those very owners benefited the most from the act as the value of their vineyard land increased more than a hundred-fold as a function of supply and demand and Americans’ increasing taste for wine. As a conservationist, here is how I see the issue: We must give more than lip service to the notion that the Napa Valley is a national treasure. We must treat it as such, which requires an understanding of the Valley’s past and a vision of its future which is grounded in sound economics and bold enough to inspire future generations of leaders. The ancient Greeks clear cut their forested mountains (which remain barren to this day) in order to build ships for their fleet, much as many old-growth redwood forests were clear cut to rebuild San Francisco after the earthquake. There is always an economic reason in the short-term to tap nature’s bounty in the most exploitative way possible without any thought given to the long-term consequences. Currently, the Napa Valley’s symbiotic wine and tourist industries prosper in part because of the physical beauty of the Valley, which provides a bit of Austria in its forested mountains on the west, a bit of Tuscany in the oak-studded hills on the east, and a bit of France in the vineyards blanketing the Valley floor. However, I have noticed an unfortunate trend as blank spots have begun to appear along the forested ridgelines. These areas, which have been clear cut for the planting of vineyards, remind me of bald spots on a mangy dog. Clearing the wooded hillside in this manner threatens both the Valley’s view and watersheds. The only way the Napa Valley will escape death by a thousand cuts is to begin by viewing it as the citizens of San Francisco did the development of Golden Gate Park. The park was built for the benefit of the residents who were willing to share its amenities with visitors. Disneyland was not built for the residents of Anaheim. It was built for the residents of Omaha. That is to say, the developer’s priorities were very different. The Napa Valley should be developed for the benefit of its residents, and by “development,” I include the preservation of open space and natural habitats as part of the development plan. This is the best way to preserve and enhance the local lifestyles which visitors come to experience in an increasingly urbanized region. In my opinion, the voters—not just planners—should begin to think of the Napa Valley as the economic self-supporting “Golden Gate Park” of the San Francisco Bay Region, which places it in a larger context. This means preserving and enhancing what the locals and visitors find so attractive--namely, the Napa Valley’s unique, yet vaguely European, sense of place. People do not travel to Europe to see the latest high rise buildings and shopping centers. We have plenty of those at home. Rather, they want to participate in the cultural life of the residents and sense the historical continuity which Europeans have long found in their interest to preserve and celebrate. 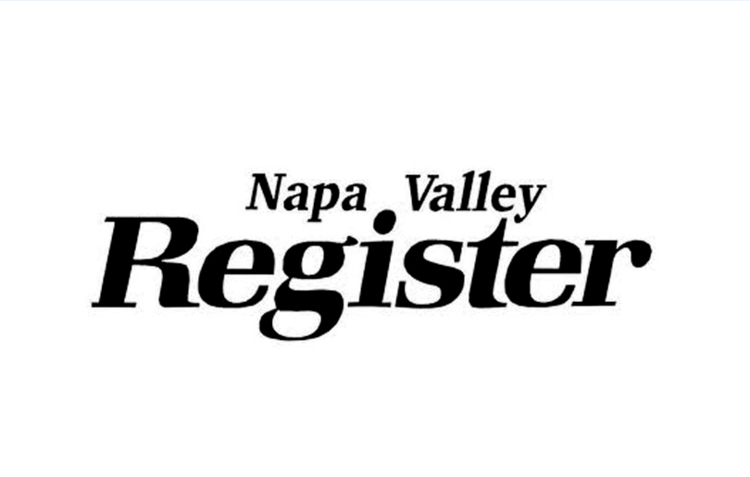 So it should be in the Napa Valley—not to emulate Europe, but simply to do the right thing. The Napa Valley will change, but it should only change for the better. There is plenty of land available in the outlying county for the planting of vineyards. Therefore there is no need, beyond perceived self-interest, to destroy the Valley’s signature landscape. Measure C is a modest first step in what must be an ongoing effort to conserve the legacy of the hard-fought battles of the past.